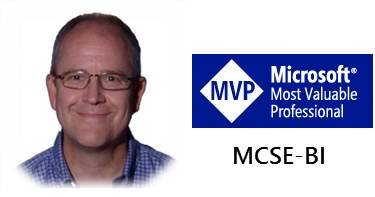 This year we are honored to have a particularly special guest kicking off our SQL Saturday event on October 24th. Microsoft is once again moving to a front-line position as a leader in Business Intelligence and Analytics and the Corporate Vice President who leads that team will be speaking live before sessions begin in the morning. Microsoft Is In Front Again! 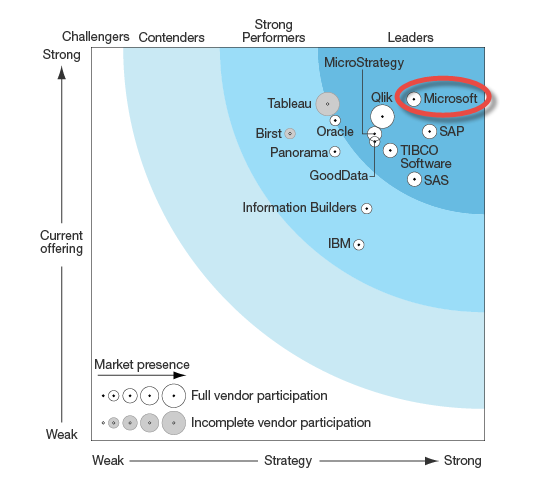 In the most recent publication of The Forrester Wave: Enterprise Business Intelligence Platforms, Microsoft shows up once again as the pack leader. Gartner recently published: New Microsoft Power BI Is an Enhanced Offering at a Compelling License Price. I think that much of this newfound focus and innovation coming out of Redmond is largely due to the strong and leadership of James Phillips and the dedication of his talented team, once again focused on delivering amazing products. 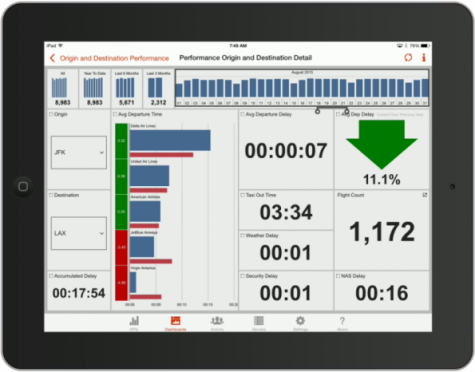 Power BI continues to march forward with a release cadence I’ve never seen before, and in the enterprise BI tools; Reporting Services, mobile dashboards, Analysis Services tabular and multidimensional – all will see significant improvements in the next pending release of SQL Server. We’ve talked about doing a keynote session to start our SQL Saturday events and decided to mix things up and take the plunge this year. I contacted James Phillips and he was gracious enough to make the trip for us. I can’t tell you how thrilled I am – we all are – to have the man responsible for Microsoft’s 2 billion dollar Business Analytics product group kicking-off our SQL Saturday event in Portland. We expect the Mittleman Community Center to be packed so get there early. Registration is at 7:00 and the keynote starts at 8:00 AM. James Phillips, Microsoft Corporate Vice President of the Business Analytics Product Group will present the Keynote Session at SQL Saturday Oregon on Oct 24th. Presenting his Overview of Microsoft’s Data Platform and Cloud Strategy, he will outline Microsoft’s road-map for Business Intelligence. As business applications generate increasingly large volumes of data, Microsoft’s tools are at the nexus of Businesses being able to embrace and proactively use all that data in order to build closer customer relationships and need fulfillment – a projected 1.6 Trillion dollar potential dividend waiting to be harvested. Microsoft’s perspective is that value is created by moving from data to decision to action. In business operations, events create data, which should lead to intelligence, and then interpreted by people to gain insights that support the right decisions. Unfortunately, since businesses create more and more event related data, the analysts and decision makers are over-whelmed and just can’t get in the insights needed to drive the ‘right’ business decisions. Power BI is one of Microsoft’s solutions; a tool that can link the massive amounts of data to the people that can take the right action, providing information in human consumable form that allows quick insights and immediate action, with a subsequent feedback loop. Power BI integrates with more data sources and enables historical reviews, real-time operational metrics, and business critical predictive insights. Power BI includes Dashboards and KPIs –types of reporting which can illustrate both trends and predictions. Don’t miss this informative session. Visit SQL Saturday Oregon for registration. SQL Saturday Oregon is a FREE Community organized training event for SQL Server professionals that provide a variety of high-quality technical sessions from ‘world class’ Speakers, and making it all happen through the efforts of volunteers. Attending a SQL Saturday event is a great way to spend a Saturday.